Republicans have finally come up with a way to end unemployment: stop counting it. 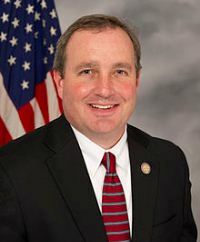 A bill introduced by Rep. Jeff Duncan (R-SC) would prevent the U.S. Census Bureau from conducting nearly all surveys except for a population count every 10 years. For the Bureau of Labor Statistics, which relies on the Census Bureau to help roll out hundreds of economic indicators every month, this is a huge problem. So how will we know the country’s unemployment rate, or how the economy as a whole is doing if this bill passes? “They simply wouldn’t exist. We won’t have an unemployment rate,” said Ken Prewitt, the former director of the U.S. Census. This isn’t the first time Republicans on the far right have attacked the census. In 2010, Tea Partiers organized boycotts against the count, even though the data plays an important role in federal funding. The proposed legislation, which has 10 cosponsors, has been referred to committee in the House of Representatives.